What's the biggest challenge for digital learning today? Formative - For easy formative assessments, even with existing assignments! Welcome & thanks for coming to my site for teachers with technology. I hope this site helps you navigate the current maze of tech tools for the classroom - all designed to empower teaching and learning. In this site, I will provide how-to docs & videos, cool posts & tech that I have found, and I will try to share my thoughts on technology in education. 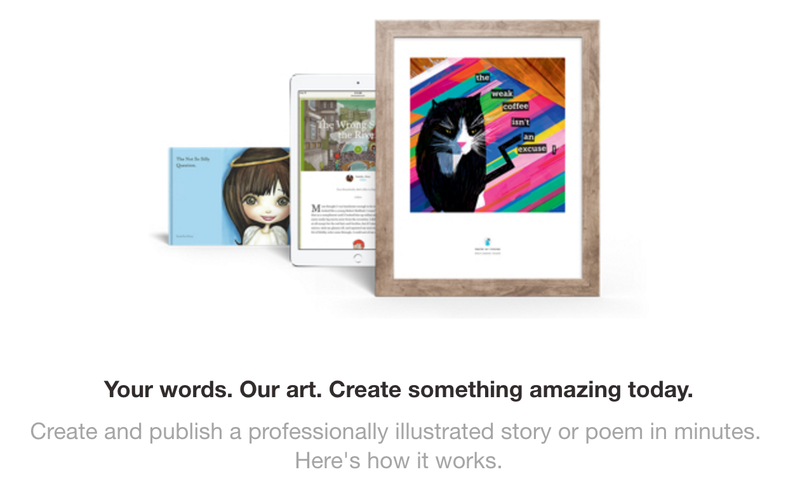 Storybird is a great site for artists and writers alike. As a writer, you choose from original art and write your story around this art. You can write a children's book or a full-novel chapter by chapter. You can gain followers as people read your stories. As an artist, you can submit your art work to be chosen for use on Storybird. This site would be a fantastic way to create authentic storytelling for students of all ages. Finished books can be published and can be printed as paperbacks or hardback books. Grammarly is a Chrome extension that spell and grammar checks ALL your web typing - on Facebook, Twitter, Email - wherever you type, Grammarly jumps in to help! A little G appears at the bottom of the page or text box where you are typing. A red underline appears when you spelled incorrectly and a green line appears with grammatical corrections. In addition, Grammarly keeps track of your errors, so you can track your improvement. Formative is a great looking new formative assessment tool that allows teachers to transform current assignments or handouts into gradeable, trackable, formative assessments. It looks pretty easy to use, and unlike Socrative, you don't need to redo current quizzes or assignments. The process is very simple. Create an account, generate a code for your class and send it over to students so they can register. iPad using teachers can even assign drawing assignments. Here is their YouTube video demonstrating this great looking tool. This tool lets you push images and files between your device and your computer. It is easier to use than File Transfer app once you set it up, which took about five minutes. It even allows for you to easily push files between "friend's" devices, once you add them as friends to your account.